LABOUR has announced its list of candidates for the Falkirk Council elections on May 3. The candidates are pictured above at the famous Falkirk Wheel. In Grangemouth, sitting Councillor Allyson Black, the Depute Provost, will stand alongside newcomer Joan Paterson. The town’s other Labour Councillor, Alistair McNeill, is standing down at the elections – as is Councillor Stephen Fry. Councillor Joe Lemetti was not selected by local party members to re-contest his seat in Falkirk for Labour and will therefore leave the Labour benches this spring. 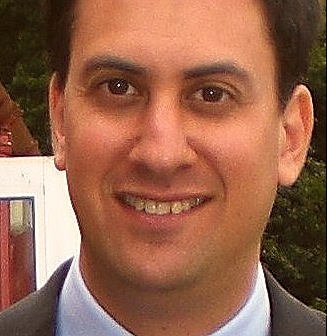 ED Miliband has today been elected as the new leader of the Labour Party, following a vote by party members, MPs, and affiliated organistations. The new leader – who visited West Lothian just a few weeks ago – said: “Today a new generation has stepped forward to change our party. We are united in our mission to transform Labour so that, once again, we stand up for the hardworking majority who play by the rules and want a less divided and more prosperous Britain. I know we have a lot of work to do. The journey starts today." A JUBILANT Michael Connarty was today re-elected as the area’s Labour MP – with an increased majority and share of the vote. Mr Connarty comfortably won the Linlithgow and East Falkirk seat with 25,634 votes – more than 12,500 ahead of his nearest rival Nationalist Tam Smith (who polled 13081). The Lib Dems and Conservatives were placed third and fourth. The full results are on the BBC website and The Falkirk Herald website. The announcement came around 2 a.m. at the count at West Lothian College in Livingston. Michael is pictured with supporters and workers from Grangemouth and Bo’ness after the result was announced. Labour also held onto the neighbouring Falkirk and Livingston seats – both key targets for the SNP. Visit the BBC website for full results and analysis from around Scotland. LABOUR supporters are being urged to get out and give their backing to the party in today’s General Election. 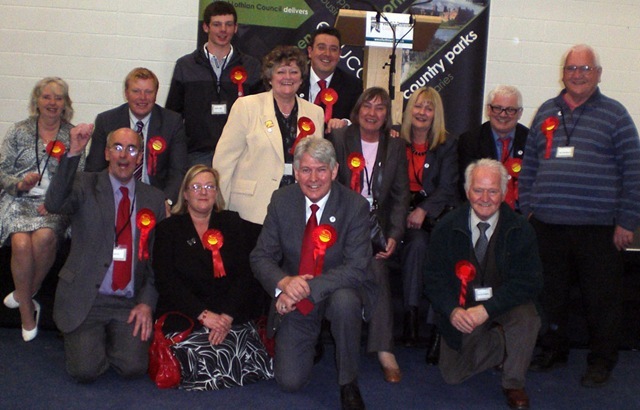 Here in Grangemouth Labour’s Michael Connarty is fighting to retain his seat as the area’s MP. If you believe in Labour values, please give him your support today. Polls opened at 7 a.m. and close at 10 p.m. An election result is expected around 4 a.m. tomorrow (Friday, May 7). Today, in message to party supporters, Gordon Brown said: “During this campaign, you have knocked on millions of doors, delivered tens of millions of leaflets, donated hundreds of thousands of pounds and spread our message far and wide online. “And now with every poll telling us that there are still more undecided voters than ever before – you can still make a difference, by speaking to these people today. Tell them about our proud record – that we are fighting to protect. Tell them about the Tory risk – that we are fighting to prevent. And tell them about our plans for the future – that we are fighting to deliver. COMEDIAN Eddie Izzard is fronting Labour’s second film of the 2010 election campaign. It’s a virtuoso stand-up tribute to Britain’s great people, and a heartfelt reminder that while the Conservatives may have changed their suits, they haven’t changed their beliefs or their policies. Michael Connarty is fighting to retain his seat as Labour MP for this area. Vote Labour on May 6.